The China Studies Program is designed to introduce students to the language, history and culture of China, offering an in-depth view of one of the world’s great powers. China’s increasing dominance in business and involvement in world affairs means that any 21st century global citizen requires at least a basic understanding of this fascinating nation. All courses are taught in English with the exception of Chinese language. Students studying at XJTLU typically take 4 courses per semester: Chinese language plus 3 additional courses. Chinese language is highly recommended in order to enable students to make the most of their study abroad experience and immerse themselves in the local culture. Students will take a placement test after arrival in China to determine the appropriate level of Chinese. Please note that exams for the fall program are in January 2019 - AIFS students will submit a final essay before the end of the fall semester (December 18) in lieu of the exams and will not be required to stay in, or travel back to, China after the holiday period. The result of an historic partnership between Xi’an Jiaotong University (China) and the University of Liverpool (England), XJTLU is a truly international university. A community of more than 10,000 learners and academic staff from 50 countries are taking advantage of China’s economic success story and forming connections with people from around the world in a truly global educational experience. The collaboration between Xi’an Jiaotong and Liverpool provides a unique academic experience combining the very best of east and west to prepare students for the modern world. 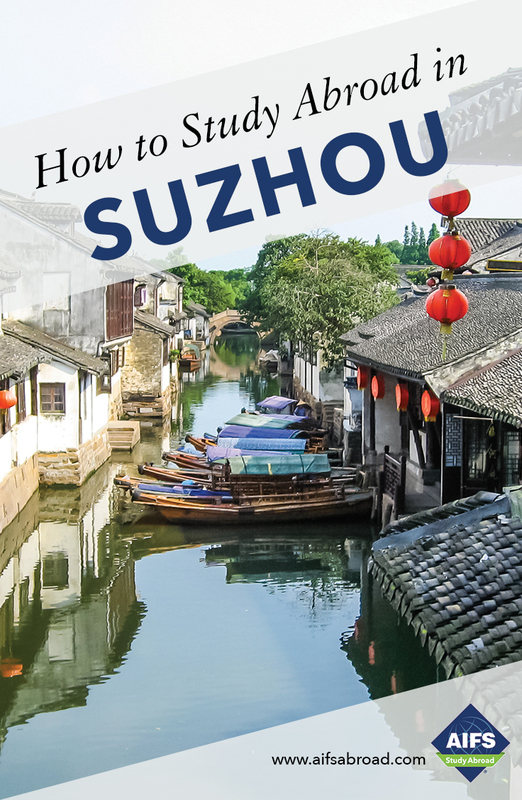 The University’s location in the Suzhou Industrial Park, China’s equivalent of Silicon Valley and a hub of global innovation, exposes students to a vibrant business environment with opportunities for company visits and possibly non-credit internships.